LAS VEGAS, BLACK HAT – 26 July 2017 – IoT security is top-of-mind for consumers across the globe, according to new research from Irdeto, the world leader in digital platform security. 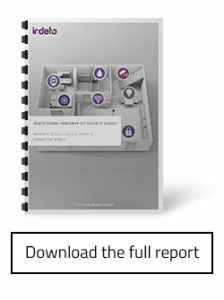 The Irdeto Global Consumer IoT Security Survey found that 90% of consumers polled from six different countries, including Brazil, China, Germany, India, UK and US believe it is important that a connected device has security built into the product. 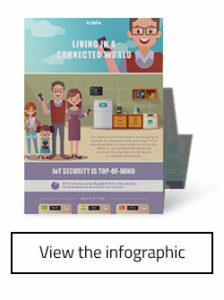 Additionally, 78% of the 7,882 consumers surveyed indicated they are aware that any smart device connected to the Wi-Fi in their home has the potential to be targeted by a hacker, resulting in a cyberattack that could steal the personal data stored on the device. To protect against cyberattacks targeting IoT technologies, Cloakware for IoT Security by Irdeto is a battle-proven solution that protects customers’ IoT applications and connected devices from reverse engineering, tampering and circumvention, keeping hackers and cybercriminals out of their products. Irdeto’s multi-layer, ever-evolving security prevents hackers from accessing their systems and running malicious, damaging code. Irdeto’s technologies create a hardened perimeter of security around a company’s most valuable assets, ensuring that only the software specified runs on their systems and devices.